The Children's Division at Sityodtong LA began in 2003. Six years later, the program expanded to Kid Power Martial Arts, a separate children-only facility located just around the corner from Sityodtong LA. 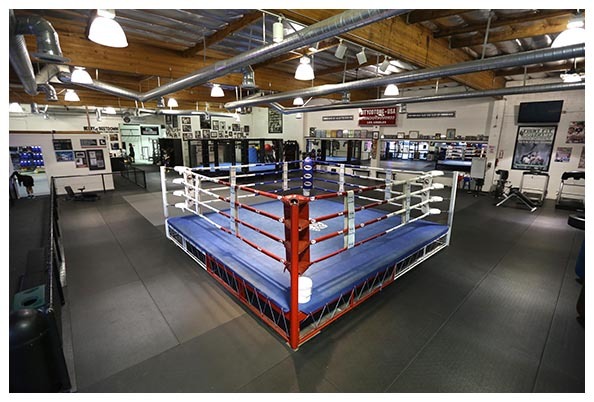 Then in late 2011, Sityodtong LA and Kid Power Martial Arts relocated under one roof to its present location on Rosemead Boulevard in Pasadena. 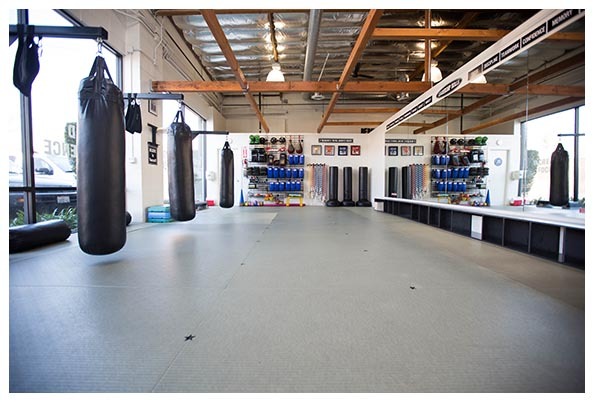 The Kid Power Martial Arts Studio is part of Sityodtong LA's 7,500 square foot State of the Art training facility that includes top notch training equipment; Zebra brand mats, a professional Boxing ring, a competition size MMA cage, a fully equipped weight room with custom built monkey bars and a full service juice bar. 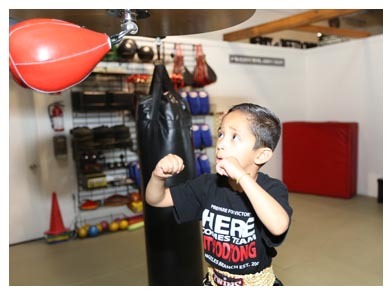 The Kid Power Martial Arts Studio is complete with its own private restroom, heavy bags, a speed bag; Twins brand Thai pads, focus mitts and various size jump ropes to accommodate the different age groups. 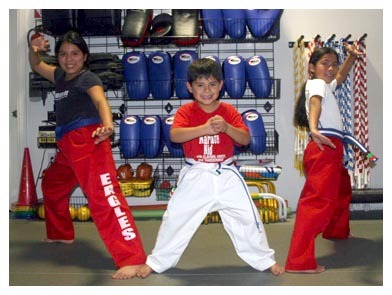 Our goal is to help children achieve their best through the Martial Arts. 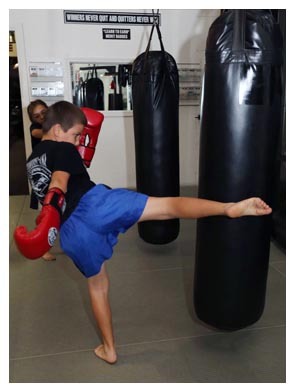 At Kid Power Martial Arts students are taught important leadership skills including respect, self-control, discipline, teamwork and much more . . .
CONFIDENCE is the key . . . and we can help! MUAY THAI translated, means "Thai Boxing". It is the national sport of Thailand and an ancient martial art steeped in culture and tradition. Muay Thai is known as the science of 8 limbs, because it combines the use of punches, kicks, knees and elbows. Muay Thai develops mental as well as physical toughness and although it is an internationally acclaimed combat sport, it is also a major component of Mixed Martial Arts, the fastest growing sport in the world. In addition, the benefits of training in Muay Thai include improved fitness levels as well as realistic self-defense skills and attributes. Sityodtong LA is the West Coast Branch of the famous Sityodtong Camp in Thailand. 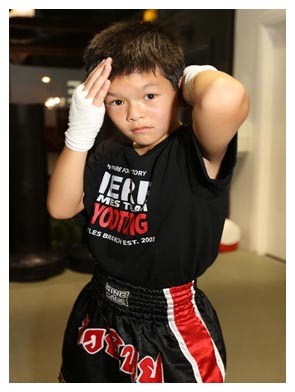 Established in 1960, Sityodtong is known world-wide for producing many legendary Champions. The founder, the late Kru Yod Tong Senanan, is recognized as the Grandmaster of Muay Thai and was designated The Conservator of Muay Thai by the Kingdom of Thailand. SHAOLIN KENPO KARATE the art of Karate was developed in Okinawa, Japan culminated with Chinese Martial Arts (Kung Fu). Karate translated, means "Empty Hand" and Kenpo translated, means "Law of the Fist". The style of Kenpo was founded by Professor William Chow in Hawaii with influences from James Mitose. Notable students of Professor Chow include Ed Parker, the founder of American Kenpo, Adriano Emperado, the founder of Kajukenbo and Ralph Castro, the founder of Shaolin Kenpo. In 1958, Great Grandmaster Ralph Castro established his first martial arts school in San Francisco, California. Through the years he has taught thousands of students, received the prestigious Lifetime of Achievement Award from the Martial Arts History Museum and is an inductee in the famous Black Belt Hall of Fame. BRAZILIAN JIU JITSU (BJJ) is a martial art that focuses on ground fighting including joint-locks and chokeholds. The art of Jiu Jitsu/Judo was brought to Brazil by Mitsuyo Maeda. The well-known Gracie Family is credited with the development and promotion of Brazilian Jiu Jitsu. In 1993, the UFC (Ultimate Fighting Championship) was created by Rorion Gracie with a goal to popularize the art of Brazilian Jiu Jitsu. As a result, BJJ has remained a primary factor of Mixed Martial Arts. Sityodtong LA is a registered Academy with the well-known IBJJ (International Brazilian Jiu Jitsu) Federation. Membership requires the instructor/coach to be a certified and responsible Black Belt. In addition, a registered Academy enables students to compete on the popular IBJJ tournament circuit. Testing and Rank Advancement in Muay Thai is with Poprajits (Braided Arm Bands) and Belts for Karate and Brazilian Jiu Jitsu. Rank advancement is essential to enable children to set and reach attainable goals.